If you stand beneath the slightly retracted verandah of The Newmarket Hotel and admire the 19th century stonework, it would be easy to think that come Hell or Heaven Nightclub, pubs will always do what this one has done. They will simply remain. 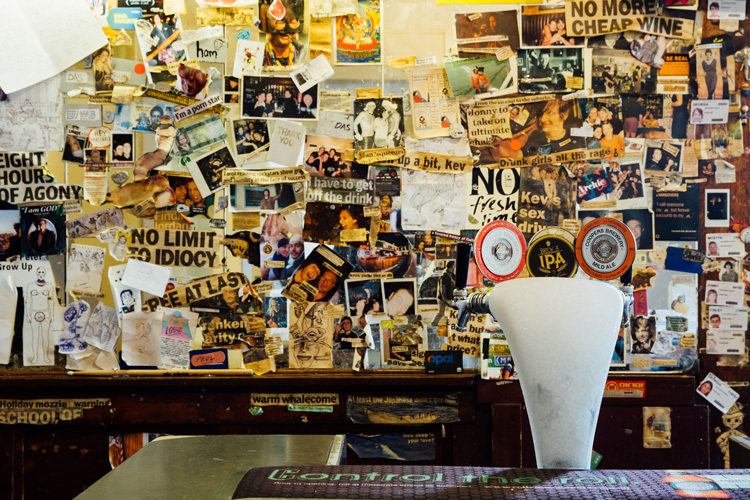 Peppered throughout cities, suburbs, and country towns across Australia, pubs are inarguably cultural icons and sites of great historical significance – but as history will tell you, they are anything but eternal. 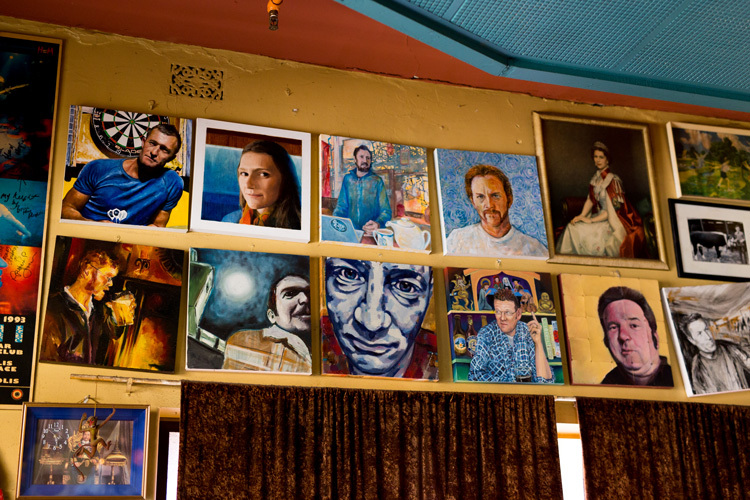 Despite their grand physical stature, the pub’s cultural relevance wanes as often as it waxes. 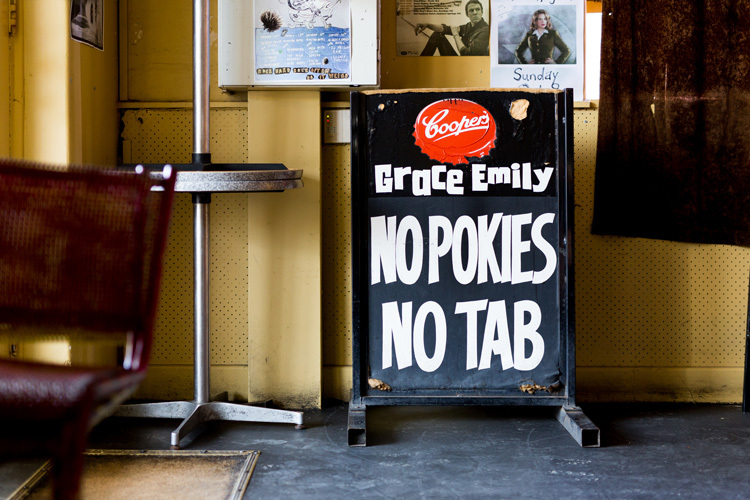 At the moment in SA, the fortunes of the pub are as low as many can remember. 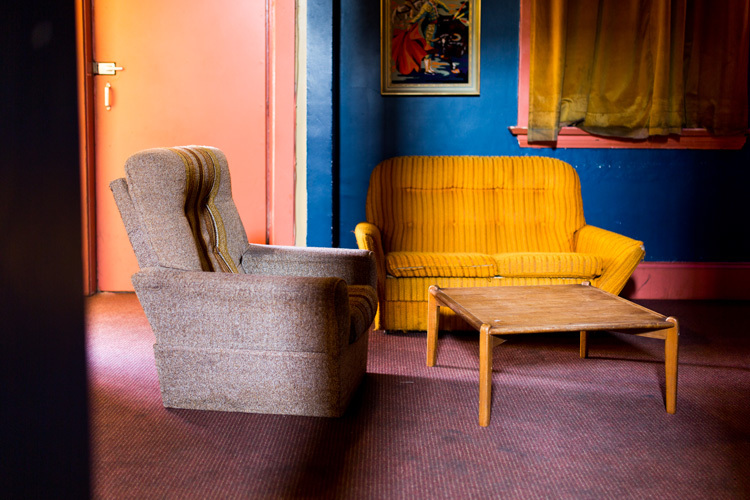 In the CBD alone, three formerly bustling hotels all within less than 700m of each other – The Whitmore, The Director’s and Grote Street’s Hampshire Hotel – sit empty, their licenses valid but inactive. But, in Adelaide’s earliest years, pubs were indispensable. 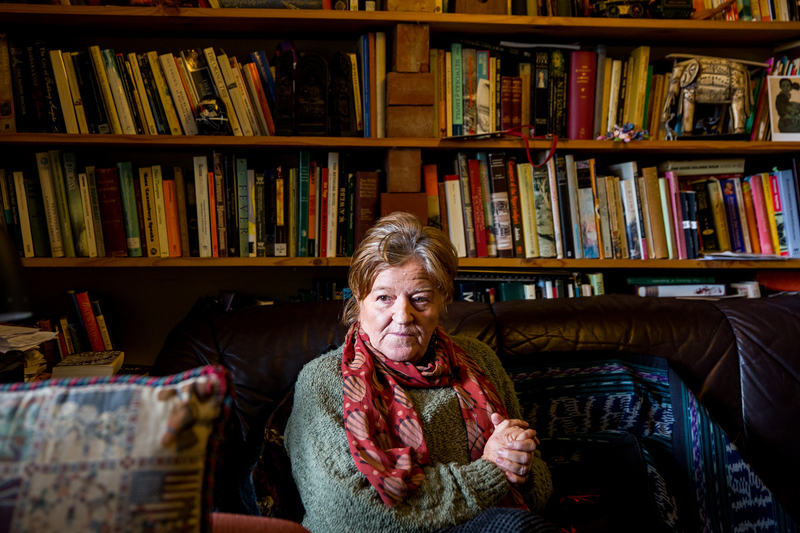 “Pubs were used, as you might know, for inquests, because a pub within a local area was usually the biggest building within a small community,” author and historian Patricia Sumerling says. By the early-20th Century, religious institutions and hotels became less comfortable bedfellows as the temperance movement turned public attitudes against alcohol, and helped to impose six o’clock closing on pubs. The aim was to eventually reach prohibition, like what was achieved in the US, but in true Australian style, the six o’clock closing time was treated as a challenge as much as it was a restriction. Punters would rush from work and order multiple drinks to try and get a full night’s drinking in before close, and hoteliers increased the size of their bars to allow more people to pull up a pew. It’s one of the first major examples of Australian publican’s resilience and adaptability in the face of a changing tide. In 1981, random breath testing was introduced to South Australia, and in 1991, the blood alcohol concentration limit for South Australian drivers was reduced from .08 to .05. This, along with economic conditions, affected behaviour and cost the city several historic hotels. 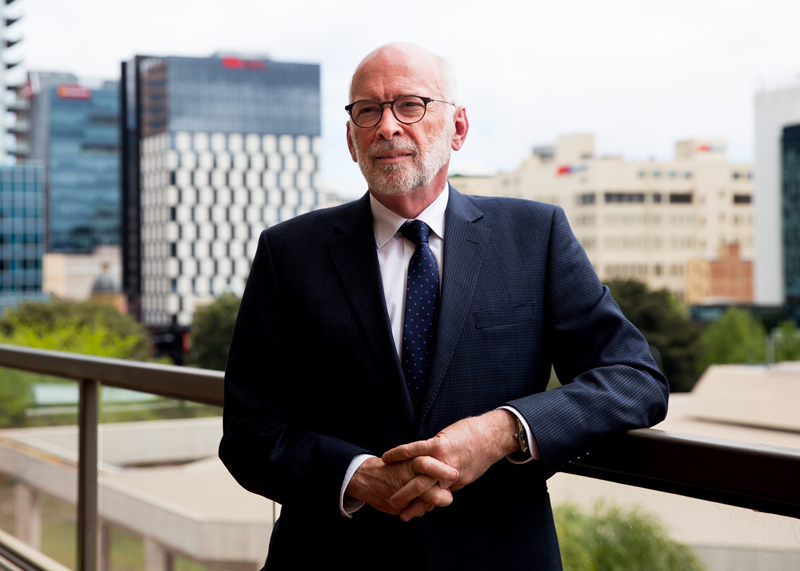 “The introduction of random breath testing, .05, .08… that had a significant impact on how people behaved,” Ian Horne, General Manager of the Australian Hotels Association (SA), says. “[And] in the late-’80s, we had a lot of venues fall over, because that was in a period when housing loan interest rates were at 17 per cent, business loans were 21 per cent, so if you borrowed a million dollars to buy a pub, or restore a pub… then your interest payments alone were $200,000 a year. For publicans still in the industry and fighting to stay out of the red, there was an unfortunate white knight in the form of a piece of 1992 legislation: the Gaming Machines Act. “We certainly had a massive reinvigoration, driven to some extent by gambling, but also driven by general consumer confidence, an increasing level of affluence, higher inflation,” Ian says. Politics of the pokies aside, the industry received a boon from them and fewer publicans jumped ship on their hotels than potentially could have, staving off demolition or re-purposing, and instead, the profits they’d made were eventually reinvested into the buildings. “In the early-2000s to around about 2008, that’s when we saw significant money spent on refurbishments and redevelopments,” Ian says. 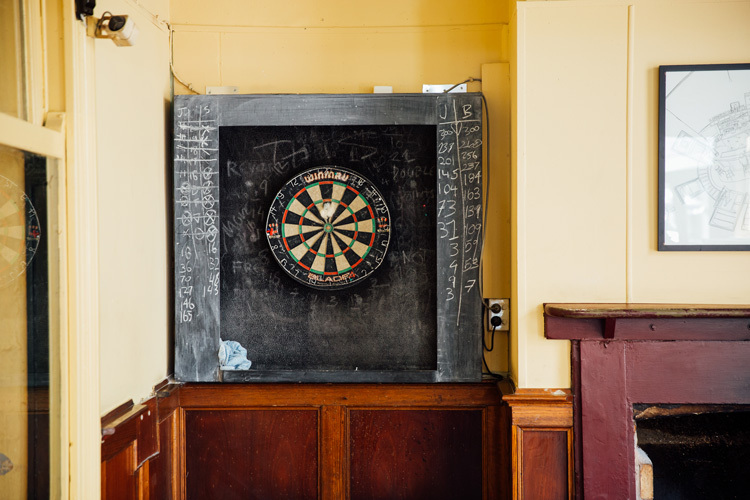 From the perspective of pub owners, particularly those with gaming rooms, this was a golden era; coffers were stacked, fit outs were under construction, and managers were employed to take care of the day-to-day. 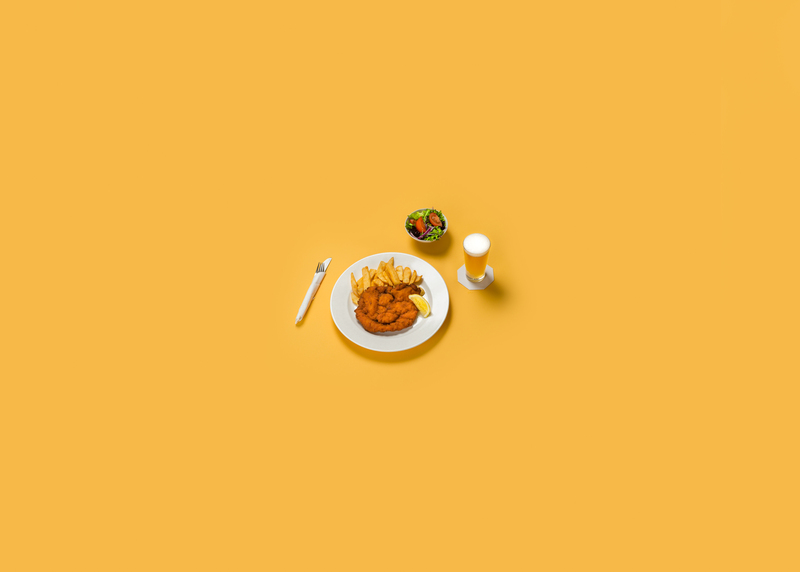 In the punters’ eyes, cheap schnitzels and beer specials for a long while outweighed the negative sentiment toward poker machines, and regardless of whether you were at a pub in the outer suburbs, or in the centre of the city, you knew you could rely on consistent pub fare in a familiar environment. I'm a	 regular occasional rare non drinker, and my favourite place to go for a drink is	 my home a small bar a pub da club where I most often drink	 wine craft beer not craft beer spirits soft drink and like to enjoy the	 music. pool table and dartboard. pokies. lack of pokies. friendly conversation. If you were looking to buy into the industry, however, a barrier had developed. “It took us a couple of years to find the right pub for us,” publican Jade Flavell explains. She and her business partners, Liz O’Dea and the late Emily Trott were in the market for a pub in the early-’00s. 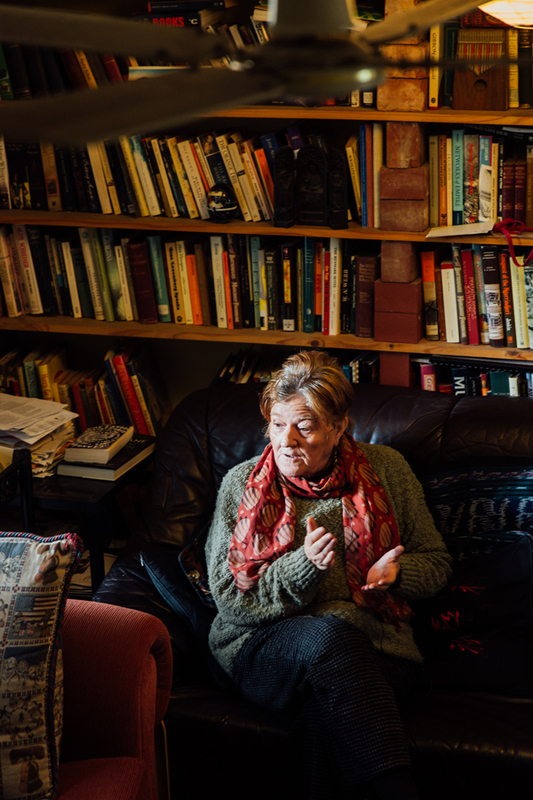 “Other ones we looked at that had a tiny [gaming] lounge… [we wondered] if we could sell the licence,” Liz recalls. “The amount of money that each machine added to the price of a lease was extraordinary. So even with four or five machines, it was in excess of $100,000 per machine to the price of the lease,” Jade continues. 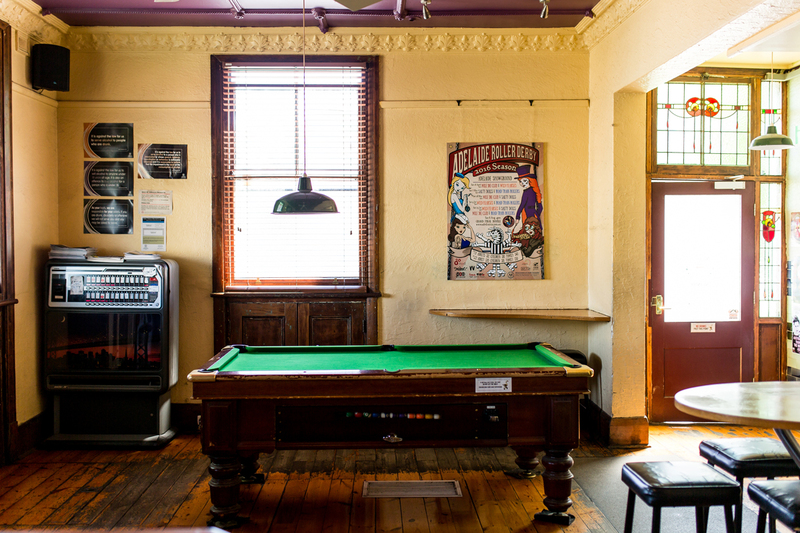 Eventually, an anomaly sitting in the inner-west, not too far from the city, caught their attention – The Wheatsheaf Hotel. “[The Wheaty’s] always kind of existed in a parallel universe, in a sense, because even before we got in… it was not subject to any normal rules of a pub in any regard,” Jade says. “There were two taps… the place closed whenever the publican felt like it, which was often at eight o’clock on a Saturday because he just couldn’t be bothered. With no pokie lounge, and a decent reputation for live music, they took the “affectionately regarded shambles” and began operating in ’03, introducing a focus on craft beer. Their contemporaries, however, had found their own magic formula and were sticking to it. It was the roast special and a glass of house red in the winter, and a chicken parmi or salt and pepper squid with a pint of SuperDry once summer hit. A culinary stasis set in, and this deep-fried formula stood rigid, even as publicans weathered the post-2008 effects of the Global Financial Crisis. But a larger disruption was to come: diversity. In 2013 the small venue licence was introduced. An array of food and beverage options snaked throughout the CBD, and suddenly what would normally have been hailed as consistency, started to look a lot like complacency. Even a reputation for the crispest of chips (plated to the side of the schnitzel – not underneath) and the most reasonably priced pint could not elevate the humble front bar feed above the exciting variety of the recently embraced small plate menu. Punters started asking for more, and publicans, for the most part, ignored them and instead stuck to what they knew. “I said this from day dot – and this is why I got into [the business] – people used to say ‘small bars are killing pubs.’ Well no, pubs, you’re killing yourselves, because you’ve got a recipe and it’s shithouse,” Jono Hersey, owner of Hersey Vineyard and recent co-owner of The Prince Albert Hotel, says. “If you go to any pub in Adelaide, there’s the pub recipe, and that’s SuperDry, West End Draught, Coopers, big margin schnitzel night, and no longer does the pub recipe actually work. 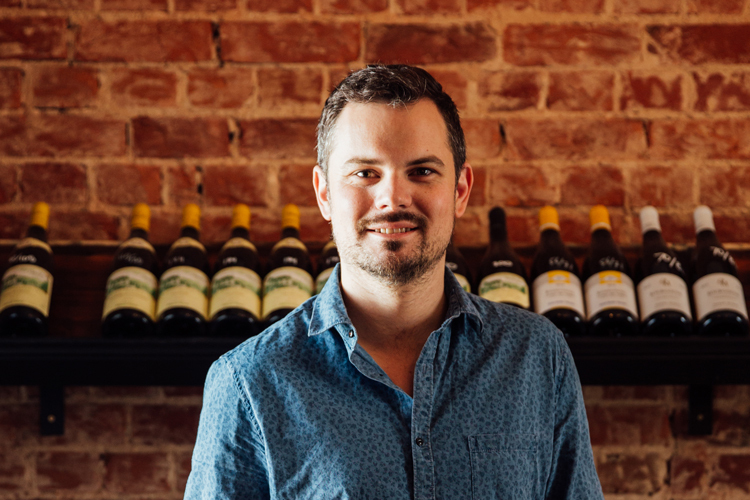 It’s tough talk for a relatively young gun in the industry – Jono has been running his vineyard and distribution business since acquiring vines in 2012 – but having reached a point of wanting to expand into retail, he decided he could make that move and at the same time prove that pubs could be more. 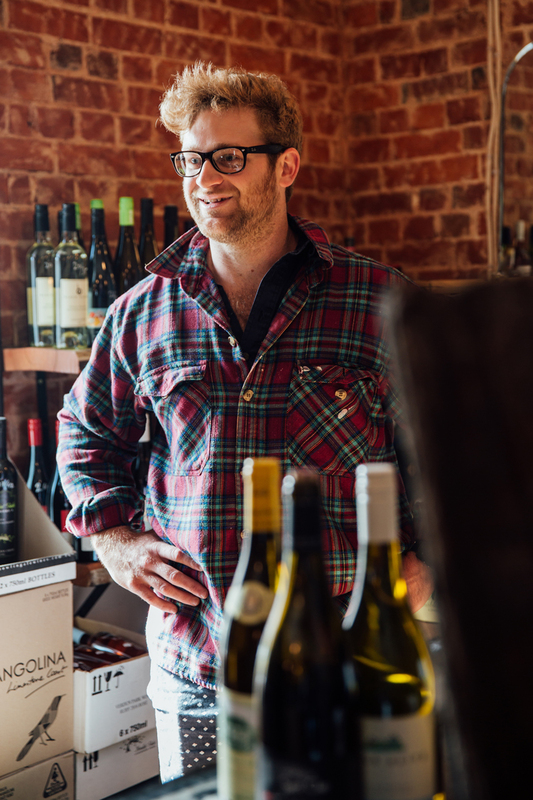 “My office was down on the corner of Whitmore Square… and I’d always wanted to put in a wine store,” Jono says. 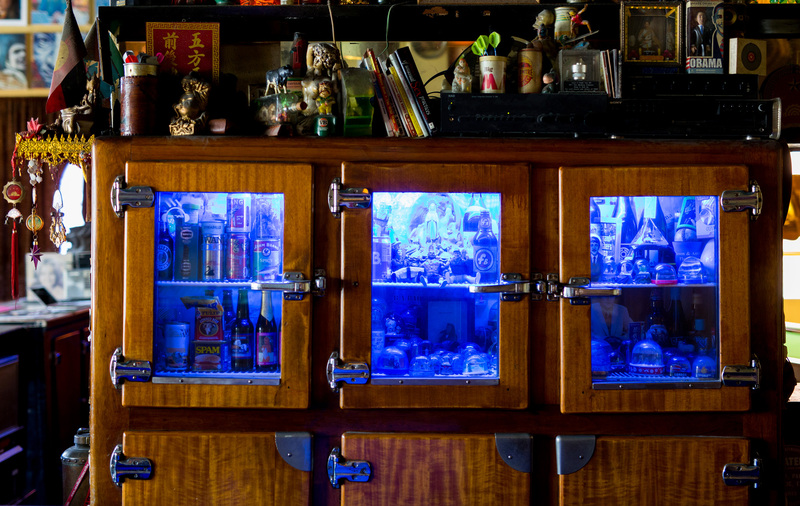 “In Adelaide, off-premise licences are impossible and they’re worth heaps. 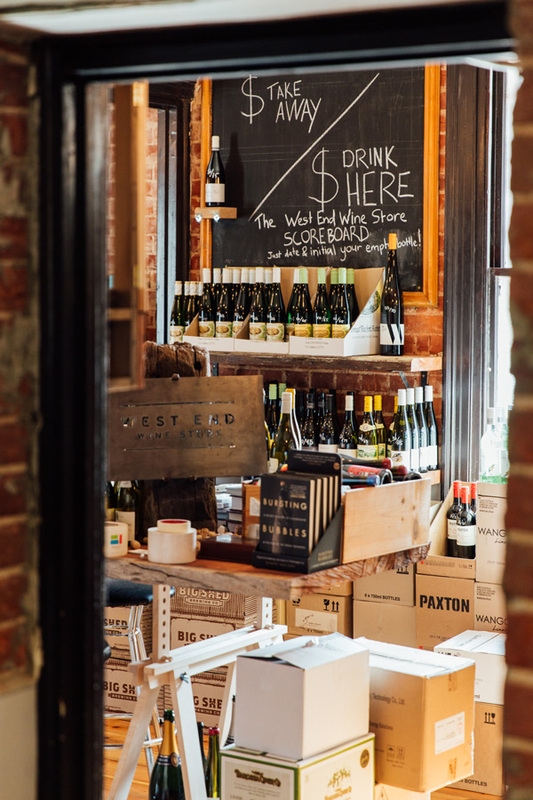 With his business partner, Dan Fullerton, Jono opened the West End Wine Store in mid-2016, and the plan is for The Prince Albert Hotel to become a destination for fine wine. “There aren’t too many places where you can go to a laidback pub and drink really good wine for a really good price and get sound knowledge,” says Jono. 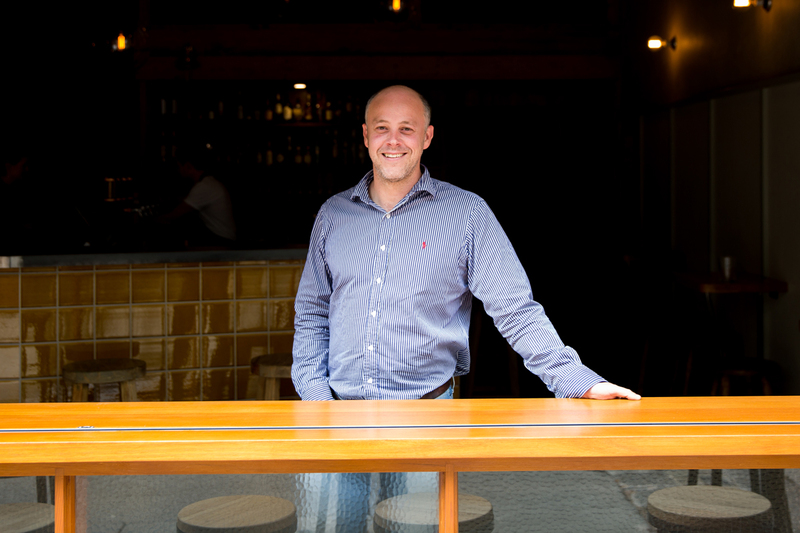 Since 2012, prior to Jono getting involved, Dan had been The Prince Albert’s sole publican. 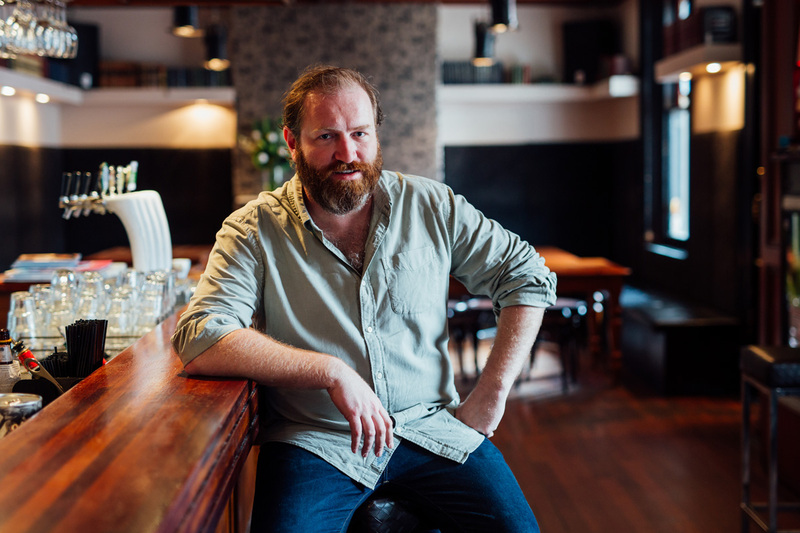 He’s seen change in the industry, and like Jono, knows that means pubs need to follow suit. For Dan though, that’s more of a return to tradition. “Since the GFC kind of era, that top line’s been cut off,” Dan says. The result is the return of one of the forgotten fundamentals of the hotel industry. 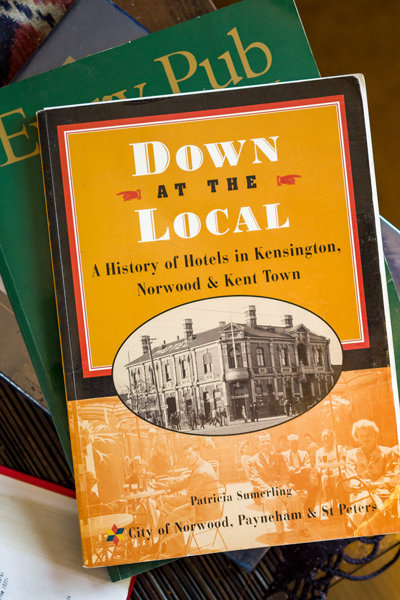 “In pubs, they’ve always had publicans… [but] you’ve started to have these groups starting to acquire massive amounts of hotels, and publicans have kind of become a thing of the past. From behind the bar, Dan has seen the need to recapture the punter’s eye, and the introduction of the West End Wine Store is just the start. “We’re following on the only growth trends in the liquor market, which is, from a beer perspective, craft beer’s the only section of growth, [and] boutique, small producer wines,” says Dan. As for the “pub recipe” Jono cites, it’s still not completely gone from the Prince Albert’s offering. 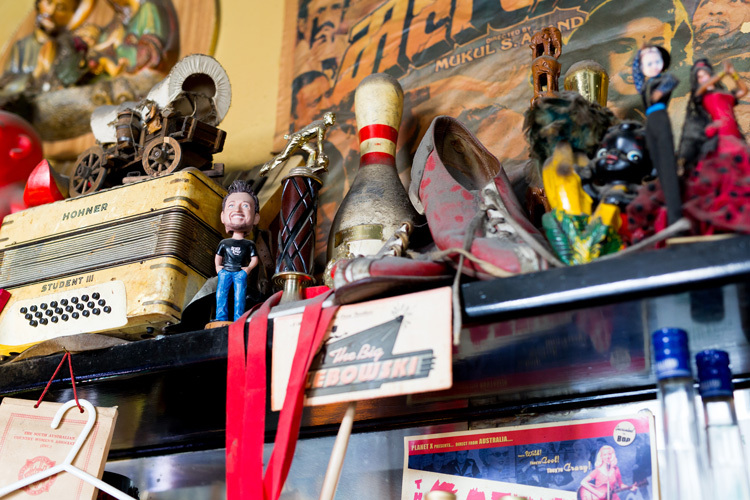 “It’d be difficult to run a pub without a chicken schnitzel, put it that way,” Dan says. One such pub, whose schnitzel-free offering rotates nightly based on which food truck is parked out front, is The Wheaty. To be a destination venue, though, there is a requirement of having something worth travelling to. Jade envisioned what that would look like very early on. 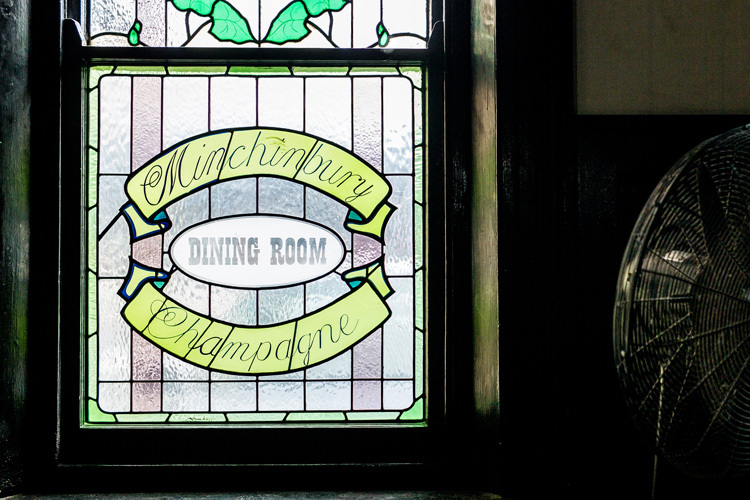 “You sit down and say ‘well, what’s my ideal kind of pub?’” she says. 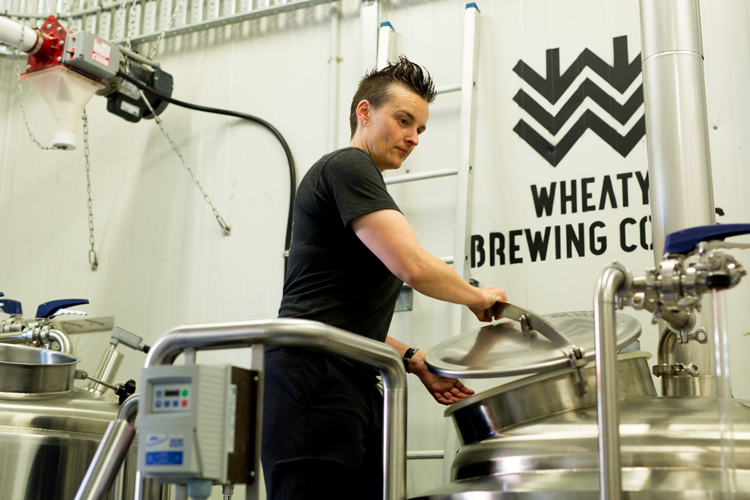 Since being installed, Wheaty Brewing Corps has brewed 75 different styles of beer over 129 batches, and it’s hard to argue against Jade and Liz’s dedication to providing their punters with the best. 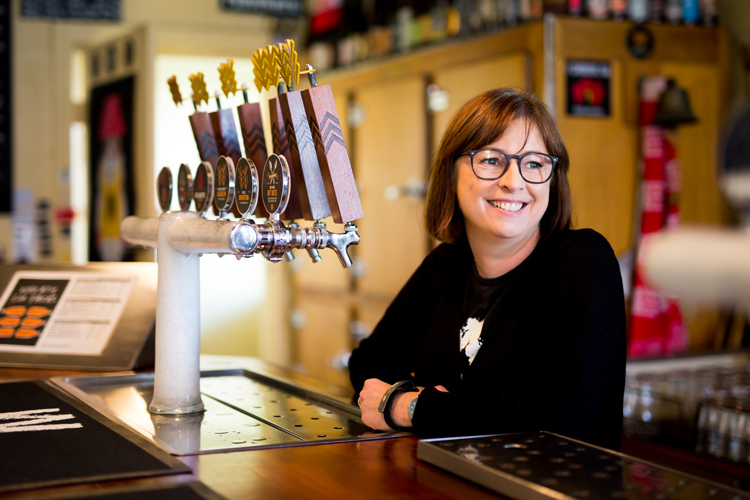 “Generally half our taps are guest taps and we pour the best stuff from around the world and around the country, and the other taps are our taps, some of which we brew with some of the best brewers working from around the country,” Jade says. “What often amuses me is when people say ‘we can’t not have Carlton Draught on tap, we can’t not have VB or West End or Coopers Pale on tap.’ Rubbish. Of course you can. I visit a pub about	 several times a week once a week once a fortnight once a month less than once a month and the things that are most important to me in a pub venue are	 the convenient location. the food menu. the booze menu. the culture of the venue. all of the above. I will never go to a pub that has	 pokies. a shiny renovation. a boring menu. bad service. a lack of Campari. Contact me via	 when all the results are in because I'd like to see what people want in a pub! 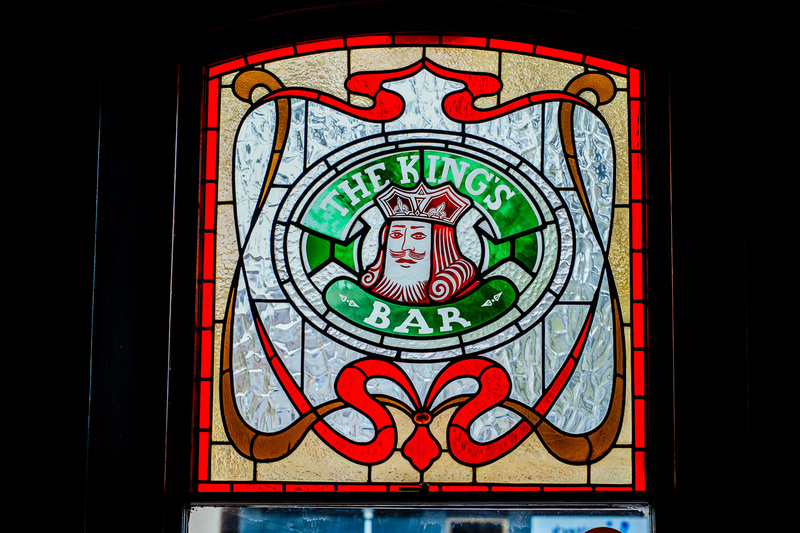 Dan, Jono, Jade and Liz are not Adelaide’s only hoteliers willing to adopt the day in, day out approach of publicans of yore; in 2008, new life was injected into The Kings Head, courtesy of Gareth Lewis – a one-time accountant who couldn’t let go of his weekend hospitality gig. Once Gareth and his team had taken control of the pub, they were not quiet about their intention to run it wholly on South Australian produce. They’ve recently expanded this concept by opening the Sturt Street Cellars, which only sells SA-made booze, inside the pub. But initially it was a hard sell. “The pub had been on the market for the better part of two years and they were running it bare bones,” says Gareth of when he first bought the business. Not only did The Kings Head have to coax back punters the former publican had lost, they also had to convince their hard-won new clientele that a restricted SA-only offering was exactly what they wanted. “To be honest, it was really tough,” says Gareth, “because at the time we only had eight taps, four of them were always Coopers, and we struggled to fill the other four taps on a weekly basis. “There were half a dozen local brewers outside of Coopers at the time, not all of them could supply consistently, not all of them had a consistent product. “And then explaining to the punters why they couldn’t have a Corona or a New Zealand Sav Blanc. Eight years ago there wasn’t that ground swell of the ‘Eat Local’ and ‘Choose SA’. As precarious as the business proposition felt at the time, the risk of failing with a new idea far outweighed retreading the larger pubs’ steps, and as it turned out, the proof of the South Australian pudding was in the punters’ response. “The pub was going so badly, so if we were just to take over and keep the status quo, you might have had a boost and we could have spent some money on a renovation and that sort of thing [but] that stuff is always a bit short-lived,” Gareth says. “We haven’t seen a great deal of financial success – we’re not going to be retiring tomorrow – but we’re still here and we’re still doing the same thing, essentially, that we wanted to do at the start. South Australia is a self-backing state, and as much as the popularity of The Kings Head’s McLaren Vale chicken parmigiana is testament to that, it’s also an indication that while we may be weary of overdone renovations and lazy food and beverage offerings, something inside of us yearns for old-fashioned pub hospitality. One man who believes that to be the case is Scott Quick, who opened a small bar under that premise. 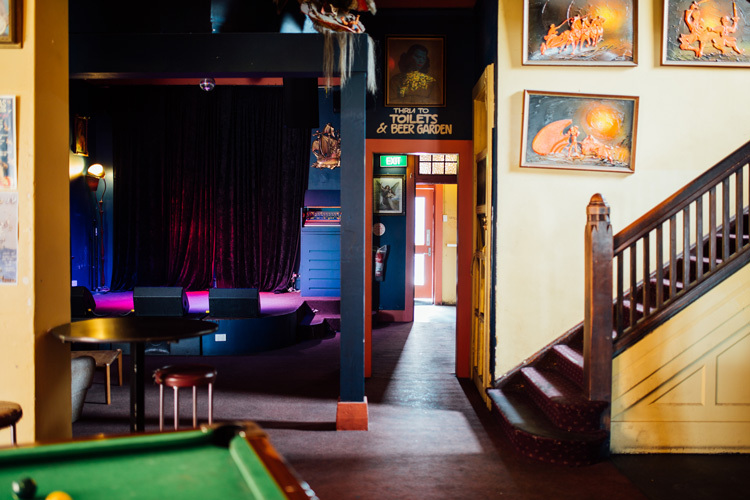 Alfred’s is the Peel Street venue whose namesake, Scott’s grandfather, was known for welcoming friends and family to the bar he’d built in his backyard, where he would offer homebrewed beer and pub banter. In the same spirit, and with a history of running hotels around Adelaide, Scott’s ambition was to fit an entire pub into a CBD small bar. “I think the key thing for hotels for me is that it’s a place away from home for people,” Scott says. 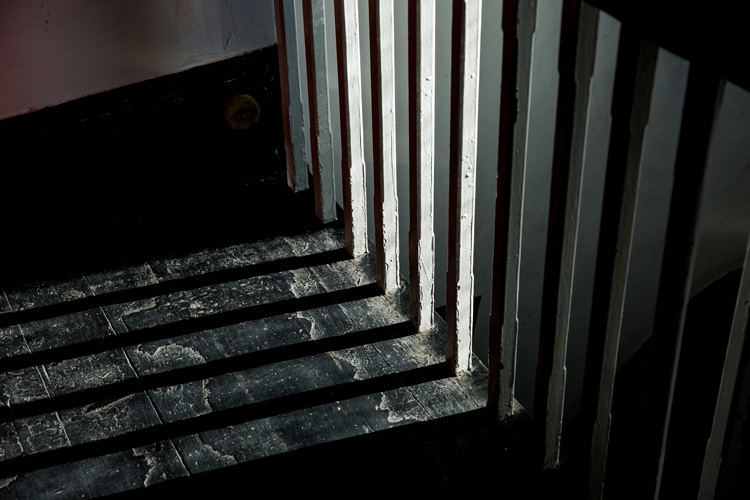 Despite now being a small venue licensee, Scott is optimistic for the future of larger venues. What’s key, he says, is staying relevant. “That’s what everyone needs to do no matter what business you’re in, whether it be a hotel or whether it be a small venue or a printer down the road. And, indeed, pubs still remain. But instead of leaning on their heritage-listed laurels, perhaps pubs should instead aim to excel. A downturn in any industry is never welcomed, but this most recent disruption could be what reinvigorates the resilience in publicans (and potential publicans-to-be, long locked out of an increasingly big money industry) and if it’s responded to correctly, could herald a new era where small bars compete more directly with pubs as small businesses – with less of the flawed setting and forgetting practiced by large hotel groups. The State Government has flagged tourism as one of South Australia’s greatest assets, aiming to grow the visitor economy’s worth from $5.95 billion to $8 billion by 2020, and our produce is consistently being hailed just as passionately from abroad as it is at home, so there is no better time to start redefining what Adelaide’s most iconic buildings will be in the future. 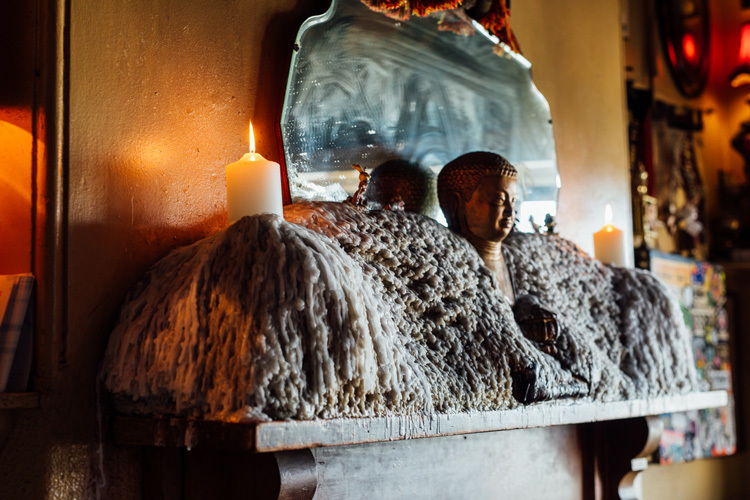 It’s clear that, aside from the exceptional cases like The Wheatsheaf, The Grace Emily, and The Exeter, what’s been missing is personality, but the smaller players are bringing that back, and with it comes the hospitality that pubs have historically been known for. “I think customers are becoming much smarter and they’re demanding more from their venues,” Jade Flavell says. “I think the pub, as a social institution, is critical, and certainly historically it’s been of such importance to the development of Australia; it was one of the first things, you know, you get a pub, you get a school, you get a courthouse, and you’ve got a town. “And they have a history of [being] a great democratiser. You can literally have a beer next to a government minister, or the Premier might be playing pool and you can have a beer with him. The new wave of old-style publicans are holding the threat at bay. 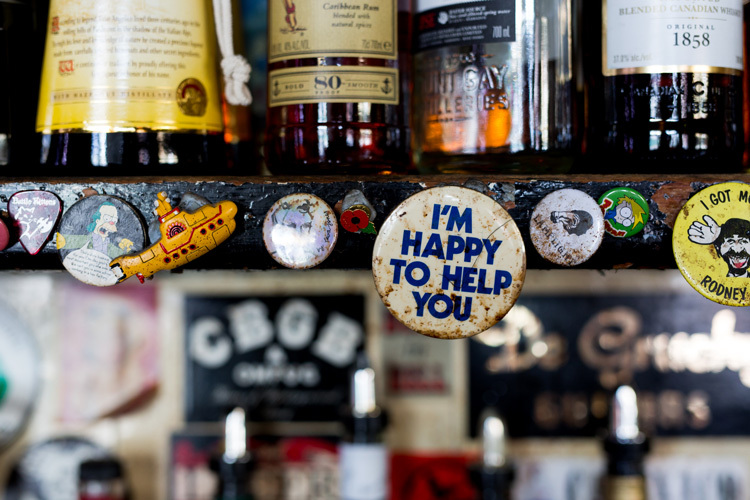 If the rest of the industry can follow their example, it seems that pubs might be able to ward off the extinction and hold true to their legacy as part of the Australian social fabric. Editor’s note – There are some great ideas being pursued by innovative publicans around SA, but one avenue that could do with more exploration is making pub culture accessible to people of diverse backgrounds. As long as hotels stand as a stronghold of colonial Australia, they’ll never properly reflect our country and its myriad multicultural influences. About three beers deep – inspiration strikes: The secret to a good pub is a good conversation. Our gleanings from Adelaide’s more innovative publicans have been distilled here – carefully – along with some of our own genius to create the ultimate place for a good chin wag with your mates. Don’t tell us we’re dreaming! 1. No gilded rooftops and pressed metal here. No Khai Liew furniture – just a place for a community noticeboard, tasteful ceramic coverage for easy clean ups after a hectic happy hour, and some fixed stools and banquets so it’s a bit harder to go A-over-T. A pub’s interior should be built on the social fabric of the community who congregate there not a Pintrest board. 2. Take a wide birth of anything resembling a cocktail list. 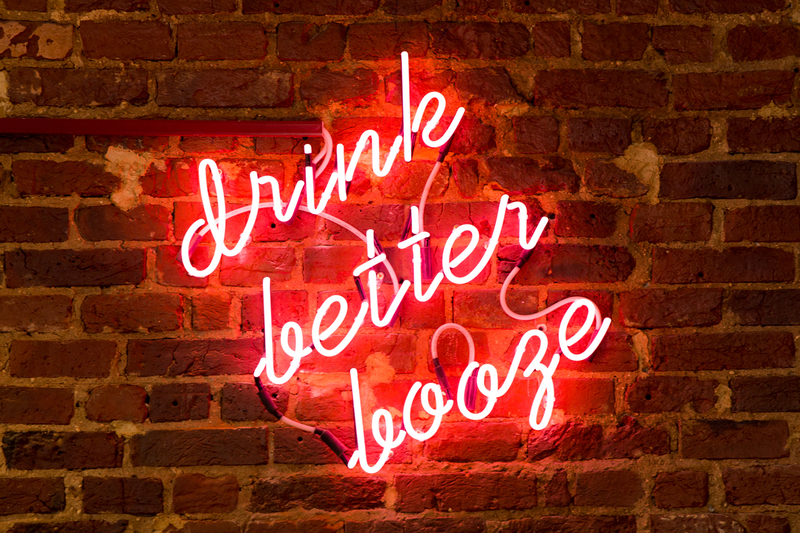 Stick to good quality spirits, with a bit of a leaning towards the aperitif aisle. A Campari and soda or scotch on the rocks are pub classics, but if you can offer an Adelaide Hills Distillery Italian-and-soda or Antipodes gin-and-tonic, your punters will be cheering. 3. 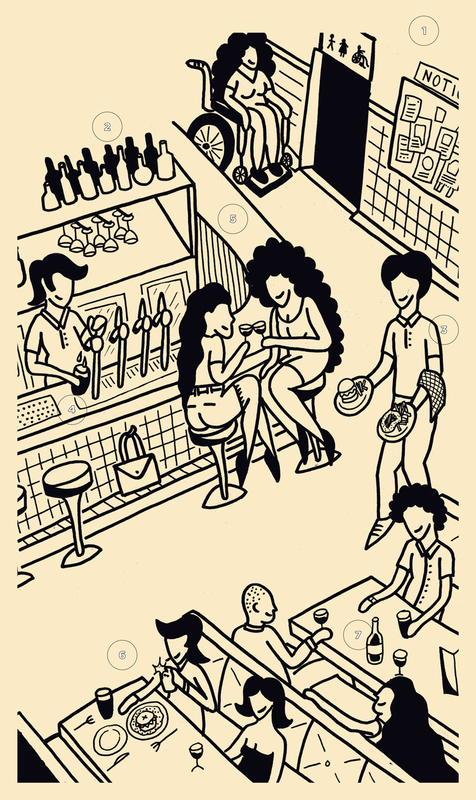 Drinkers need to know who to ask for a drink. We’re not talking starched shirts and bad branding, a simple t-shirt with an embroidered Coopers logo does the trick. 4. Every man and his dog’s got a brewery these days so why tie up your taps with the multi-nationals when you can get local brewers popping by with a fresh brew weekly? Coopers are a must and we’d offer West End, but a decent pub should be running at least six cellar buoys at once. 5. Forget small bars, if your pub’s going to work it’ll need at least 25-30 lineal metres of beer-drinking, counter-meal-eating real estate. 6. Punters expect a Chicken Schnitzel, ey? Bi-pass those battery birds and the $10 menu’s false economy with a menu that supports ethical farmers and low mileage between paddock and plate. 7. There’s no excuse for a lazy wine list in South Australia. We’ve pulled our thumb out and knocked together a selection of SA’s best booze from Basket Range to the Barossa. We’re not against the imports or even the ACT – if it’s good wine, worth talking about then we’ll slosh it in your glass. Coffee. There is such a need for good coffee in a pub. And just like the point above you’re spoilt for choice in 2017 with the DeGroots, D’Angelos and Dawn Patrols of this world. If you’re worried about frothing milk, make a batch brew and ship out cups at $2.50 – that ought to get chins wagging!